The boat is told to have been sold to The Netherlands, Almere region. As the asking price was less then the lead value and search for the boat has so far been unsuccessful, it is possible, that it was scrapped. This is one of few Lehmann boats transformed to cruising with "full cabin option". Luckily, she will be brought back to original condition and beauty by her present owner. 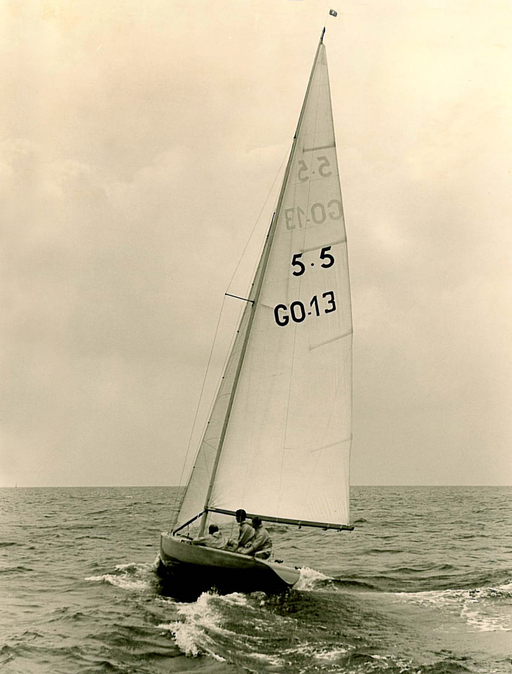 The boatbuilder working in 1963 on this boat at the Lehmann yard, is just now preparing a half model of "GO 13", which will be given as a Challenge Trophy to the fastest Lehmann built boat, in the annual Willy Lehmann Regatta in Berlin. We are awaiting the day, when the rebuilt GO 13 will claim this trophy.